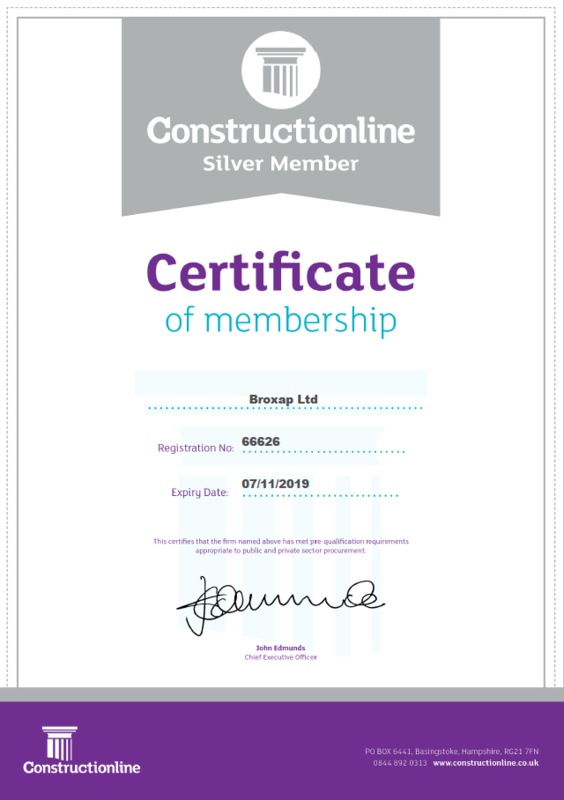 For the purpose of the Data Protection Act 1998 (the Act), the data controller is Broxap Limited (Company number 0258375) whose registered office is at Broxap Ltd., Rowhurst Industrial Estate, Chesterton, Newcastle-under-Lyme, Staffordshire, ST5 6BD. Information or material that you provide or input on our site http://www.designandbuild.com/ (our site). We may also ask you for information when you report a problem with our site. All information you provide to us is stored on our secure servers. Any payment transactions will be encrypted using secure socket layer (SSL) technology. The encryption process converts the characters that you enter into code that is then securely transmitted over the Internet. When you place an order, a small padlock will appear at the bottom of your browser indicating that any information provided cannot be viewed by a third party. Unfortunately, the transmission of information via the Internet is not completely secure. Although we will do our best to protect your personal data, we cannot guarantee the security of your data transmitted to our site; any transmission is at your own risk. Once we have received your information, we will use strict procedures and security features to try to prevent unauthorised access. We may also use your data, or permit selected third parties to use your data, to provide you with information about goods and services which may be of interest to you and we or they may contact you about these by post. If you are an existing customer, we will only contact you by electronic means (e-mail or SMS) with information about goods and services similar to those which were the subject of a previous sale to you or where you have consented. If you are a new customer, and where we permit selected third parties to use your data, we (or they) will contact you by electronic means only if you have consented to this. If you do not want us to use your data in this way, or to pass your details on to third parties for marketing purposes, please tick the relevant box situated on the form on which we collect your data (the order form). If Broxap Limited or substantially all of its assets are acquired by a third party, in which case personal data held by it about its customers will be one of the transferred assets. You have the right to ask us not to process your personal data for marketing purposes. We will usually inform you (before collecting your data) if we intend to use your data for such purposes or if we intend to disclose your information to any third party for such purposes. You can exercise your right to prevent such processing by ticking the relevant box on the form on which we collect your data (the order form). You can also exercise the right at any time by contacting us at datamanager@broxap.com. Our site may, from time to time, contain links to and from the websites of our partner networks, advertisers and affiliates. If you follow a link to any of these websites, please note that these websites have their own privacy policies and that we do not accept any responsibility or liability for these policies. Please check these policies before you submit any personal data to these websites.